Welcome to another installment of If My Book, the Monkeybicycle feature in which authors shed light on their recently released books by comparing them to weird things. 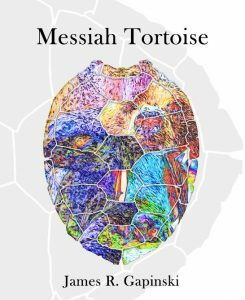 This week James R. Gapinski writes about his new story collection, Messiah Tortoise, out now from Red Bird Chapbooks. If my chapbook were a book, it’d be identical because little books are still books, and such distinctions are ridiculous, and my book would be indignant about this fact, and my book would write angry letters to publishers, and my book would become militant as the movement evolved, and the government would put my book on a no-fly list. If Messiah Tortoise were a mode of transportation, it’d be a luxury cruise because that is the closest modern-day equivalent to an ark. This particular cruise would feature all-you-can-eat omelet bars at every meal, nightly performances by long-dead musicians, complimentary cranberry wine, reverse-burlesque shows, fireworks off the port bow, life boats doused in kerosene. If Messiah Tortoise were an accelerant, it’d be a highly flammable hospital-grade cleanser. If Messiah Tortoise were a hospital, it’d fail its inspection. If Messiah Tortoise were an inspector, it’d take bacterial samples off every employee’s hands. Hands with failing scores would be amputated. Those with clean results and dry, chapped, over-washed hands would be rewarded with the aforementioned severed hands of less-clean coworkers. If Messiah Tortoise were hand soap, it’d be lemon scented. If Messiah Tortoise were a lemon, it’d beg you to only squeeze it into a giant mug of green tea. If Messiah Tortoise were a mug, it’d be heat-activated with a special hidden picture on the side. 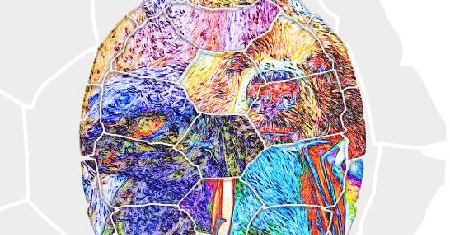 The picture would shapeshift with each usage, but an inkblot of the previous image would creep through. This mug would single-handedly make you believe in ghosts. All your mirrors would break. You would cut yourself on the glass, but my book would still be your favorite mug. James R. Gapinski’s flash fiction collection, Messiah Tortoise, is available from Red Bird Chapbooks. His work has previously appeared in The Collapsar, Juked, Monkeybicycle, Paper Darts, Psychopomp, and other publications. He’s managing editor of The Conium Review, associate faculty at Ashford University, and an instructional specialist at Chemeketa Community College. James lives with his partner in Portland, Oregon. Find out more at http://jamesrgapinski.com/ or follow him on Twitter @jamesrgapinski.